Yummmm! For all the chocolate lovers out there, pls have something to eat before reading this post. heh heh! 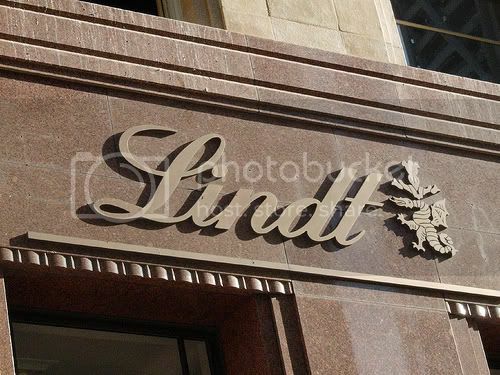 Last weekend, I had a chocolate overdose extreme experience after visiting the Lindt Cafe. Yupp! It was quite an experience! 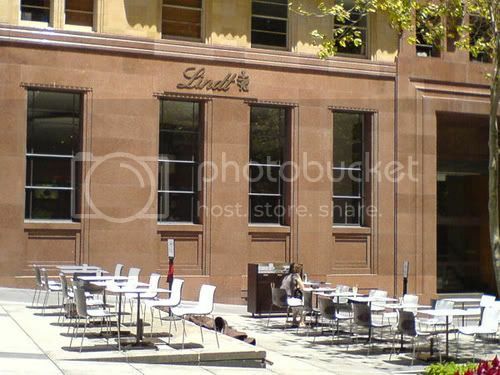 Located in the heart of Sydney CBD at 53 Martin Place, the Lindt Cafe offers an opportunity for seriously luxurious indulgence. With its trademark range of handmade chocolates, gourmet ice creams, cakes and pastries it is guaranteed to satisfy the fussiest chocoholic like me! The open air dine in area. 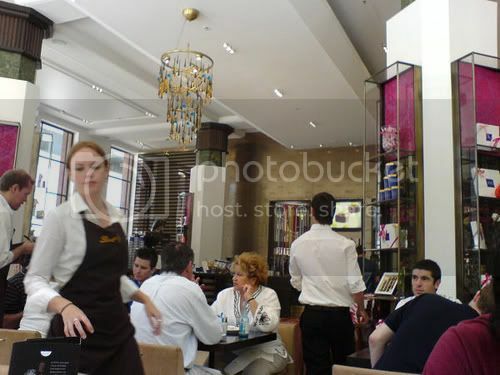 The lush and opulent cafe also has alfresco seating on Martin Place and brings a taste of Europe to the centre of Sydney. 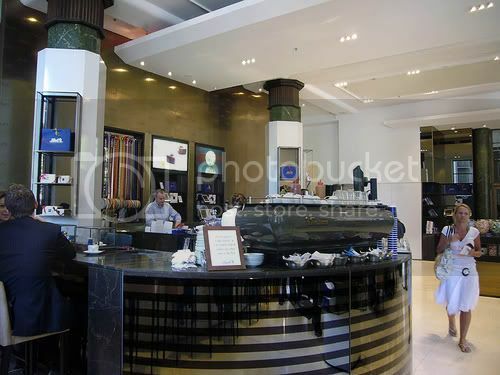 The decor combines white, milk and dark shades. 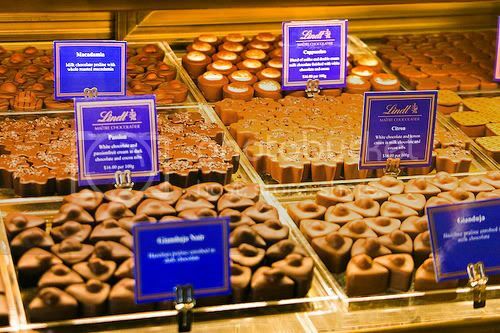 It like a Disney store of chocolates and popular among the twentysomething crowd. There are chocolate cakes (spectacularly constructed into domes, slices, discs and squares) plus a selection of chocolate ice-creams, coffee with chocolate macaroons, shakes and sundaes! 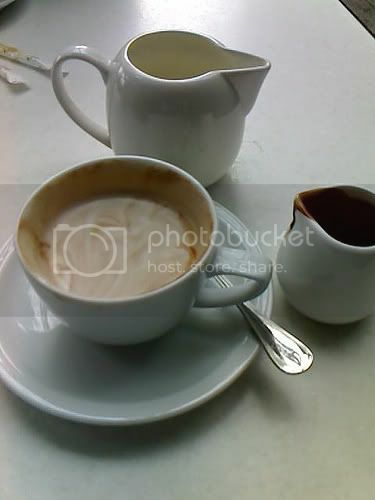 ... and creamy hot chocolate! I must say... 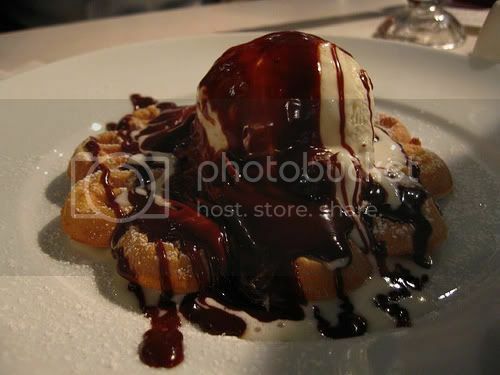 I've never had any waffle that look and taste so good! It's quite rich as well... for me, that's enough chocolate to last me a week! Highly recomended for chocolate lovers! Pure indulgence.